A self-proclaimed introvert, Genine LaTrice Perez has a commanding presence on stage and an ability to leave audiences captivated. 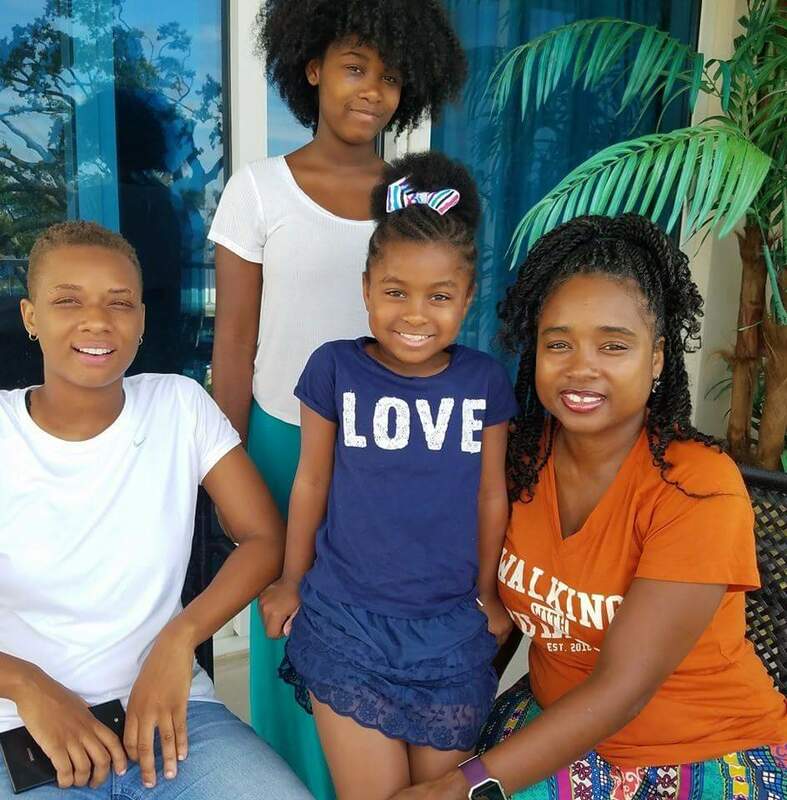 This single mom to four uses singing as a creative outlet, a source of therapy for herself and inspiration to her children. Genine Perez’s relationship with singing began when she was “discovered” for the first time at age 12. She grew up in Fort Smith singing in her church choir. She had signed up to participate in a local pageant and was too nervous to sing, so she danced to “Let’s Hear it for the Boys,” and won second runner up. “I was cheesing from ear to ear! The first runner up had an attitude because she thought she should have won, so she told the coordinator she didn’t want to go to the state pageant in Little Rock. I got to move up,” Perez said. Genine sang “If You Believe” from “The Wiz” and placed fourth out of 20 girls at the state competition. It was her first time singing solo in public, and she credits that experience as a 12-year-old girl as igniting her passion for singing. Genine returned to singing in 2000, when she moved to Little Rock. She attended college in Fort Smith after serving in the Air Force, and transferred to the University of Arkansas at Little Rock where she achieved a master’s degree in technical writing while raising three young children. She was working at her full time job at Arkansas for Drug Free Youth when her boss and local drummer David Hoffpauir overheard her signing in the office. “He heard me and said, ‘Oh my God, you sing! Let’s start a band.’ He’s my boss, so I’m like OK!,” she said. Genine is now the vocalist for this band, Lagniappe, which performs classic soul and R&B songs. The strength and confidence she would gain from singing with Lagniappe would serve to elevate her to the next level of her singing career, and carry her through the hardest phase of her life. On Nov. 3, 2016 Genine lost her daughter Olivia in a car accident the day before her 20th birthday. In the midst of her grieving, and barely a month after her daughter’s passing, Genine was offered the opportunity to sing at Robinson Center as an opener for Grammy-Award nominated R&B singer Will Downing. The group, organized for that one event, named themselves “The Sound” and stayed together. The Sound, with Genine, performs contemporary R&B and is working on original music as well. Throughout her professional and music career—as a single mom Genine also works full time and is an adjunct professional and technical writing instructor at UALR—her kids have been her biggest supporters, and she makes it a point to encourage their creative endeavors as well. What helps keep you centered/ grounded? Oh, that’s easy. My children keep me centered, grounded, focused! Name three things that are essential to your day-to-day life. Waking up and giving thanks; knowing my children are safe; and being able to be me without reservation. What’s a creative medium you’ve always wanted to explore? Oh, wow! Music is MY THING. I’ve always wanted to play an instrument. My all-time favorite instrument is the bass guitar. Oh, my word! I love the sounds that it makes. What time of the day do you thrive creatively? In the wee hours of the evening is when I explode with creativity. What/who/where inspires you? In this season, I dedicate every last performance to my biggest fan in heaven, my daughter Olivia. She, along with her siblings, give me the desire to move #FaithForward #Unapologetically. What are you working on/focusing creative energy on now? My Music. My brand. My Sound. My original music. How have your children shifted your creative career path? I want them with me MORE is the short answer. I’ve always kept them engaged, but now more than anything, I want them with me. I don’t want to limit what they see, so I want to make sure there is opportunity for my biggest fans to see their momma in action. Which local resources/galleries/ classes/organizations have helped you on your creative path? All the people and organizations that have invited me to perform have helped me on my creative path. I’m grateful for every opportunity afforded to me. I believe my greatest resources are the people who believe in me and have encouraged me along the way—my mom, family, friends and my amazing fans.